These are so easy to make, and very versatile so you can use whatever you have to hand. They are a great food activity for kids as they are hands on and dont require any heating. Plus they are packed with calcium, magnesium, minerals, iron and essential fats. They also provide a healthy sweet alternative. A batch will make around 10-12 depending on the size you choose to make them. Desiccated coconut for rolling the balls in at the end. Put the nuts & seeds through the blender to mix to a coarse grain (if you don’t have a blender you could also use a sugar/salt free nut butter here). Do the same with the dried fruit (or chop finely). Put everything together in a large bowl and mix with the hands. Add the water to get a sticky consistency and form into balls. 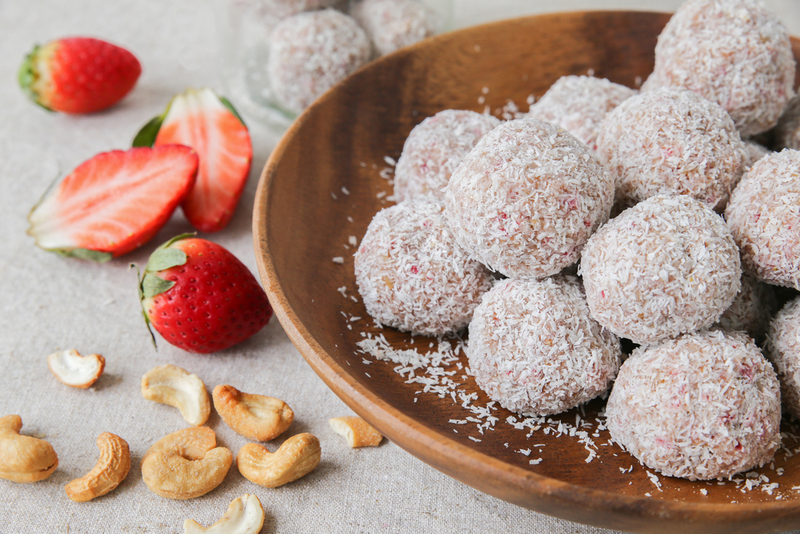 Variations – use goji berries, figs, different nuts or seeds (or nut butter/paste), leave out the orange, add greens powder (antioxidant and cleansing) or pea protein powder, add molasses (sweetening and iron source), add coconut flakes (essential fats). Many options!